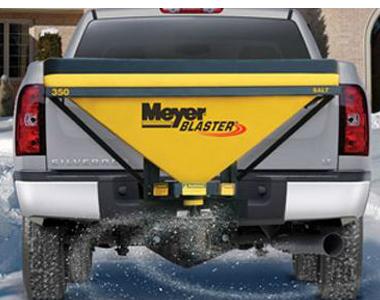 Ice is no match for this Meyer Blaster 350 Salt Spreader that attaches to your truck, SUV, or 1/2 ton vehicle with a 2" receiver. A one-touch auto controller remote allows you to switch between different modes from the inside the vehicle. 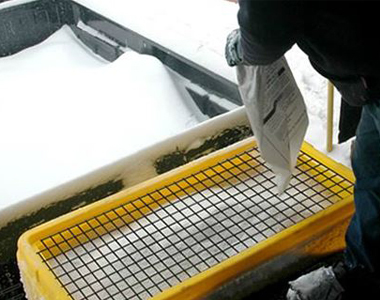 Blast mode provides a 70 amp surge to eliminate hard to remove ice spots. Carry up to 520 lbs. of material in the 6.5 cu. ft. hopper. And, get all the power you need from the electric drive motor that offers up to 1/2 horsepower. One-Touch Auto Control: Control your plow with this in-cab on-touch auto control remote. Buttons are included for the on/off switch, “blast” mode, "vibrate" mode, spinner speed and auto vibrate mode that vibrates the spreader for 10 seconds, every 60 seconds. Material Capacity: Carry up to 520 lbs. in the 6.5 cu ft. hopper for less fill up time. 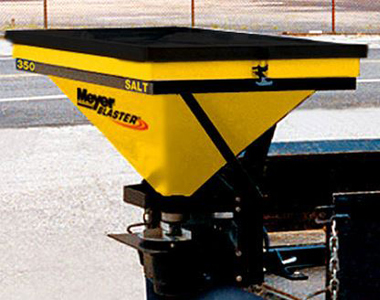 Ask us about the Meyer Blaster 350 Tailgate Salt Spreader, Receiver Mount. Please no repair questions. Your Q&A may be posted to SnowblowersAtJacks.com to help other shoppers, like you, with their purchasing decisions. Thank you. 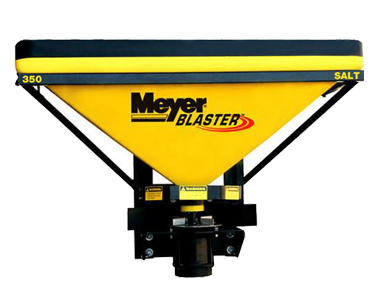 Add options now for your Meyer Blaster 350 at a 1 time discounted price. When you are ready to check out, just click the ADD TO CART button.